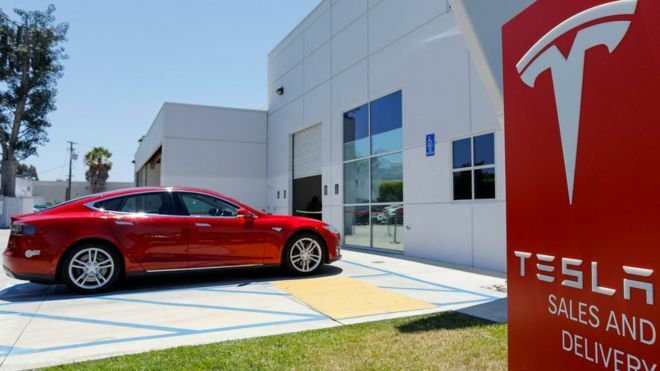 Tesla has reported a quarterly profit for just the third time in its 15-year history. The electric car-maker made a record $311.5m (£241m) in the three months to 30 September, as the pace of car deliveries accelerated. The result is a victory for chief executive Elon Musk, who had promised a profit to investors earlier this year. Tesla’s last profitable quarter came in 2016 and it had faced mounting questions about its finances. In a letter to investors, Mr Musk called the quarter “historic” and said it was a credit to the firm’s “ingenuity and incredible hard work”. He also said Tesla was on track to be profitable again in the fourth quarter. Shares jumped more than 10% in after-hours trading in New York. The results are a sign that the firm has turned a corner, said Nicholas Hyett at Hargreaves Lansdown. “Normally we’d tell investors to avoid reading too deeply into a single quarter’s numbers, but this quarter really counted at Tesla,” he said. Tesla, which has never reported an annual profit, had been under particular strain after it ramped up spending for its launch of the Model 3, its newest car aimed at a wider market. Following a surge of orders last year, it struggled to meet manufacturing targets and deliver cars to customers. That prompted worries about Tesla’s finances and fanned concerns that customers would get impatient and cancel their bookings. However, less than a fifth of the roughly 455,000 reservations the firm reported in 2017 have been cancelled, it said. Production has also picked up, driving sales. Tesla made more than 80,000 vehicles in the period, of which more than 60% were Model 3s. The increase lifted revenue to $6.8bn in the quarter, more than double a year ago. Job cuts and other reductions in spending also helped the bottom line. Akshay Anand, executive analyst at Kelley Blue Book, called it a “very strong” quarterly performance. On a call with financial analysts, Mr Musk said Tesla aimed to be profitable every quarter going forward. He is counting on strong demand in Europe and China, where Tesla plans to start selling Model 3s next year. The aim is to shift up to a million cars a year outside the US. Tesla hopes to start production of its next model in 2020 and is also making plans for a Tesla ride-hailing service, Mr Musk added. The quarterly profit milestone was a boost to the Tesla chief, who has been criticised for not delivering on previous promises and other recent behaviour, such as Twitter attacks on a British diver. 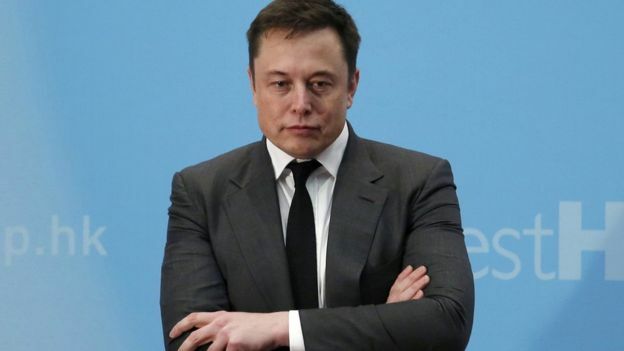 Last month the US financial regulator, the Securities and Exchange Commission, accused him of defrauding investors when he claimed he had secured funding to take Tesla private. The two sides later announced a settlement, in which Mr Musk would step aside as chairman and pay a fine, among other penalties, but could remain Tesla chief executive. Tesla declined to take questions on the search for a new board chair.